Great For Using Around Taps And Edges That Are Hard To Reach ! 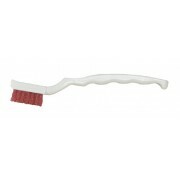 The Dust Beater range of sweepers are lightweight, efficient and easy to use. Dust control sweepers at an economy price with 'break frame' colour coded acrylic sweeper heads and aluminium handle - universal socket. Choice of three sizes to suit your needs. Replacement heads available.